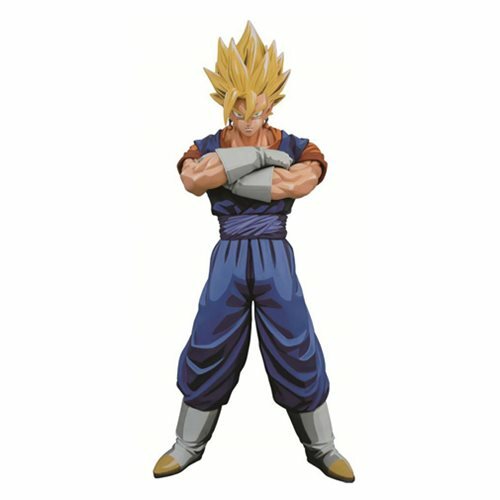 Super Saiyan Vegito joins Banpresto's highly praised Manga Dimensions figure line! Using an amazing coloring technique, this figure appears to have jumped right out of the anime! Standing approximately 10 1/2-inches tall, this Dragon Ball Z Master Stars Piece Manga Dimensions Vegito Statue comes packaged in a tall window box and a foot base. Ages 15 and up.